And with that I should be able to drop the metaphorical microphone and call it a day. 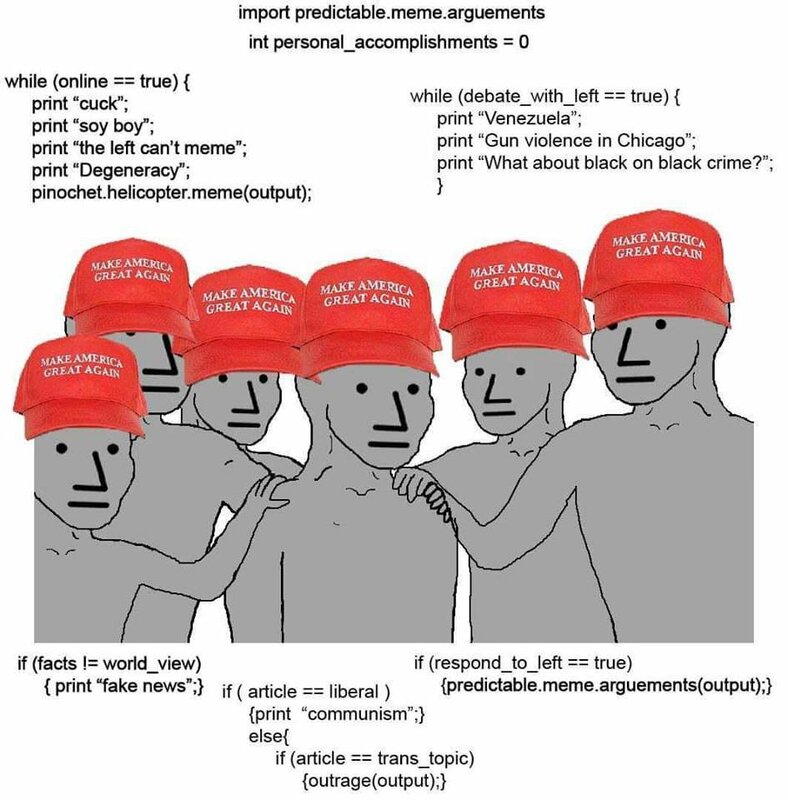 But since few in the crowd will know what “NPC” means, and fewer still will see the deeper significance of this latest internet meme, I suppose I have to roll up my sleeves and get to work. So, class, pull up a chair and tuck in your shirt because we’re about to get philosophical. Alright, first things first: What is the “NPC” meme? Well, “NPC” stands for “non-playable character,” a term from video game parlance that refers to the computer-generated characters that you (the actual human player) can interact with during your quest. Sometimes they are there to provide information or advance the plot, sometimes they are there for comic relief, and sometimes, like extras in a movie or tv show, they are simply background characters. In any case, there is no real interaction happening when you “interact” with an NPC in a video game; they generally only have a few pre-programmed responses that they regurgitate on command. The NPC idea is simple, but its implications are philosophically profound. From within the context of the video game world, an observer wouldn’t be able to visually differentiate between a “real” character, controlled by a sentient human player, and an NPC, programmed to respond to stimuli in a predictable fashion. They would look the same. But with the NPCs there is essentially no one home. They are an empty shell, a mere vessel for lines of computer code. And, with an irony that is completely lost on the victims of this meme, they have responded to it in a way so perfectly expected as to be pre-programmed. First, they decried the “literal Nazis!” who would ever think to dehumanize their political opponents like this, and then they called for the major social media companies to ban the meme altogether (which, of course, those companies were only too happy to do). It’s hard not to find some sort of humor in the spectacle of an online mob of “outraged” people all heeding the call to band together to decry being called an online mob of “outraged” people. But the more you peel back the layers of the NPC meme, the more layers of irony you find. 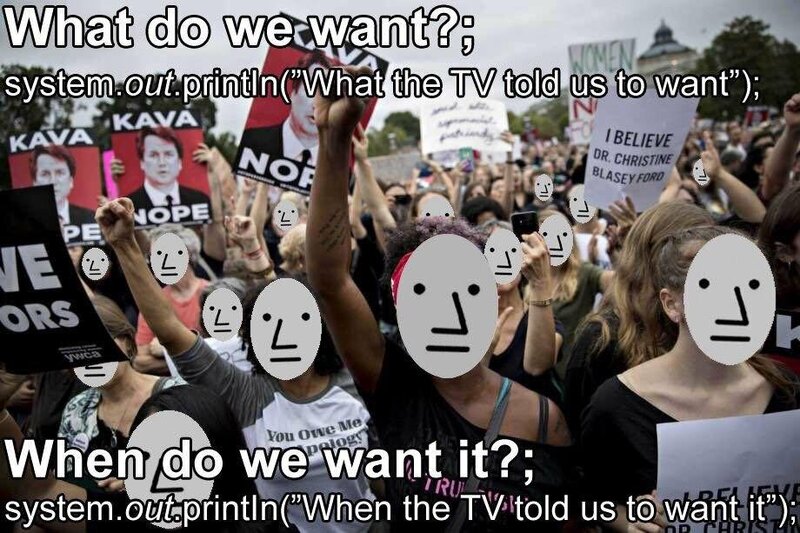 In essence, the cry of “NPC!” can quickly become a hall of mirrors. 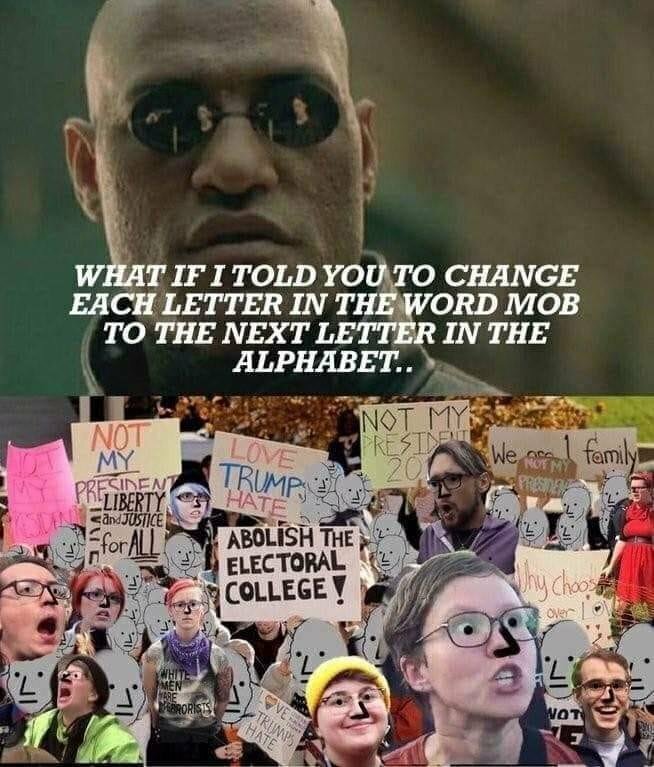 Some of the first proponents of the meme pointed out that the NPCs were apt to react to this charge by turning it back on its originators. In fact, they predicted exactly how they would do this, namely by invoking the well-known XKCD comic depicting a train full of people, each of whom thinks they are the only true independent thinker in a train full of sheeple. And, as if to prove the point, those on the left accused of being soulless automatons incapable of independent thought invoked that exact XKCD comic in their defense. 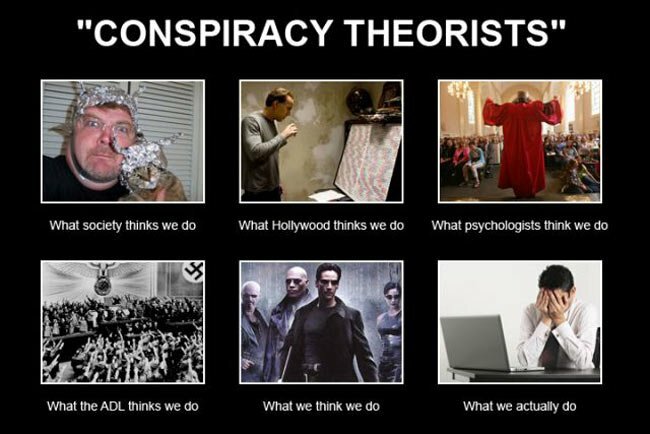 Yes, in case you hadn’t noticed, the “truth” community (whatever that means, precisely) has its own concept of “NPC.” There are those who are apt to label anyone who doesn’t agree with them about precisely how many shape-shifting lizards dance on the head of a pin or what brand of space beam was used to melt the Twin Towers a “sheep” or “human cattle” or, at the very least, a “shill.” I myself have taken to using “normie” to describe those who still get their news and opinions from the lamestream media. Is this really any better than the leftists calling anyone they disagree with a Nazi or the rightists calling anyone they disagree with an NPC? When we employ such catch-alls, are we any better than the NPCs (or normies) that we deride? Well, yes and no. If we are simply employing these terms as thought-stopping insults, terms that can be used in lieu of actual argument, then yes, we are no different than those who dismiss us as “conspiracy theorists” for discussing uncomfortable political issues. But there is a sense in which terms like “NPC” may be pointing to something actually descriptive. It has long been the stuff of revolutionary lore that there is some magic percentage of the population (3% or 5% or maybe 10%) who are actually responsible for political change. These are the people who debate political ideas, form their own opinions, formulate strategies to change society and fight to bring those changes about. The rest of the public are, for all intents and purposes, non-playing characters in the game of history. They go about their lives, always taking the path of least resistance, generally “going with the flow” of the time. Their opinions are safe, comfortable, echoed by those around them, and repeatable in polite company. Think of America during the War of Independence. It has long been noted that a relatively small number of American colonists would have considered themselves revolutionaries before 1775 but even fewer would have considered themselves loyalists in 1783. The political sand shifted under the population’s feet, and most people just shifted their views to match. From the perspective of the American Revolution, these people were non-playing characters. But it’s important to remember that “the perspective of the American Revolution” is not the only one that mattered to all people of that period, nor the only one that should be taken into consideration. These people were not characters in a play called “The American Revolution” where either they were a central character or a mere walk-on extra, but real human beings living real lives as lovers and friends and businessmen and artists and candlestick makers and a million other things. Just because they were not passionately wedded to one side or the other of that conflict does not mean they were any less human than those who were. 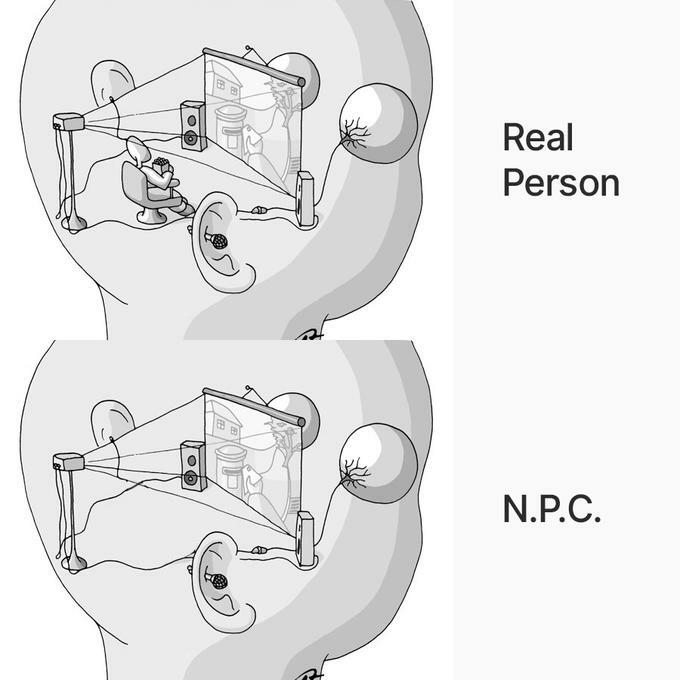 We should never forget that, depending on our interests and abilities, we are all “NPCs” from some perspectives and central characters from others. It’s a description, not (necessarily) an insult. But I reckon that all of these heady philosophical reflections are quite a bit more detailed than the purveyors of the NPC meme ever intended. All I know is it’s somewhat entertaining to watch one online mob get agitated about being identified as an online mob by another online mob. Oh, and I didn’t exactly coin the term, but I’ll take credit for identifying it before it existed.